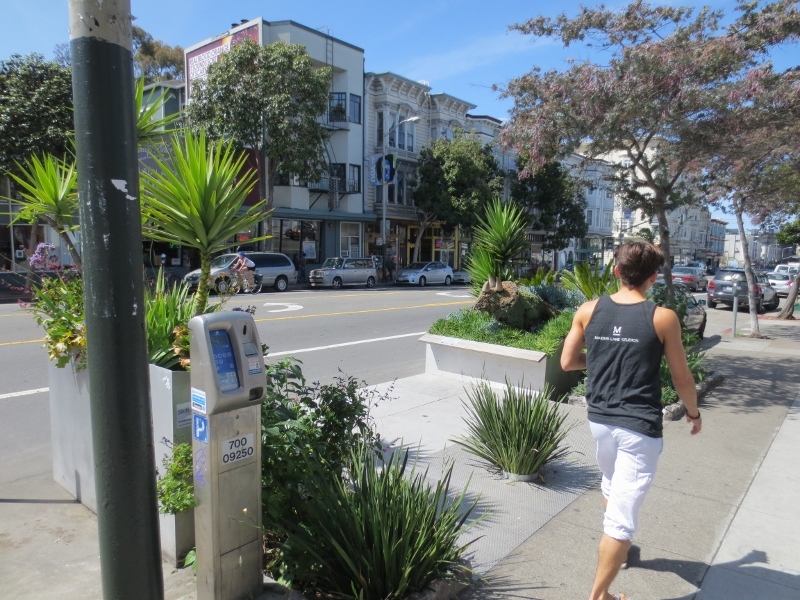 San Francisco has an official program within its planning department that enables property owners to convert the parking spaces in front of their buildings to public mini-parks. See here. 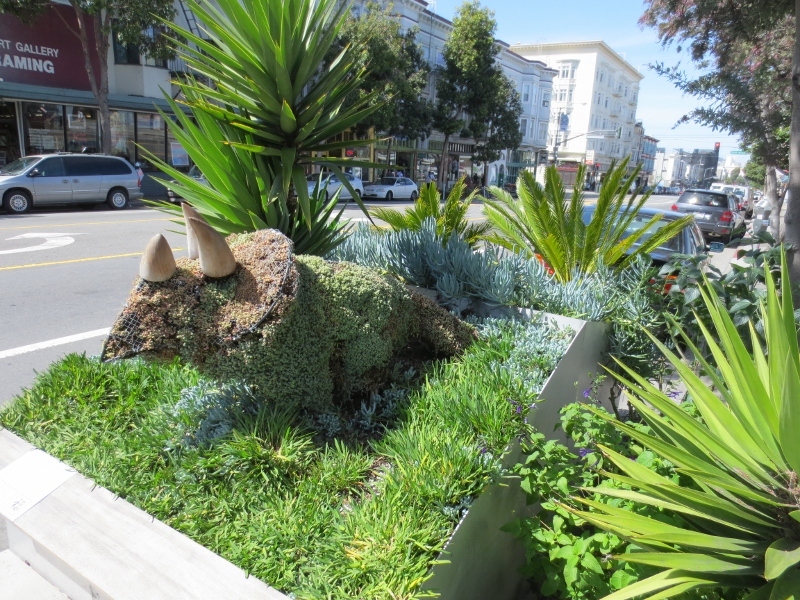 One of the best examples is the Deepistan National Parklet on Valencia Street. This particular home had two slivers of parking out front due to the curb cut for the driveway. One space was just barely big enough for a super compact car and the other was only able to accommodate a motorcycle. 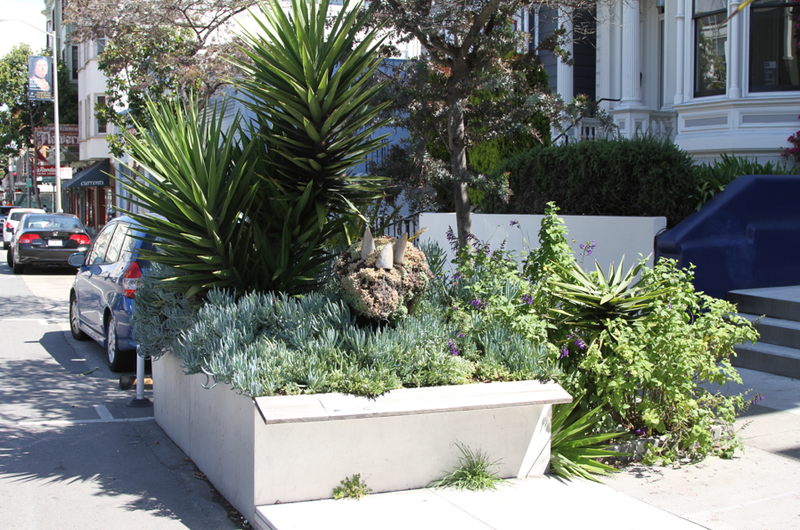 The home owner built this amazing container garden and installed it in accordance with city guidelines. The parklet program was an official government response to acts of guerrilla urbanism here and Park(ing) Day here when ordinary citizens became frustrated with the time, complexity, and expense of trying to get the city to make improvements in the neighborhood. 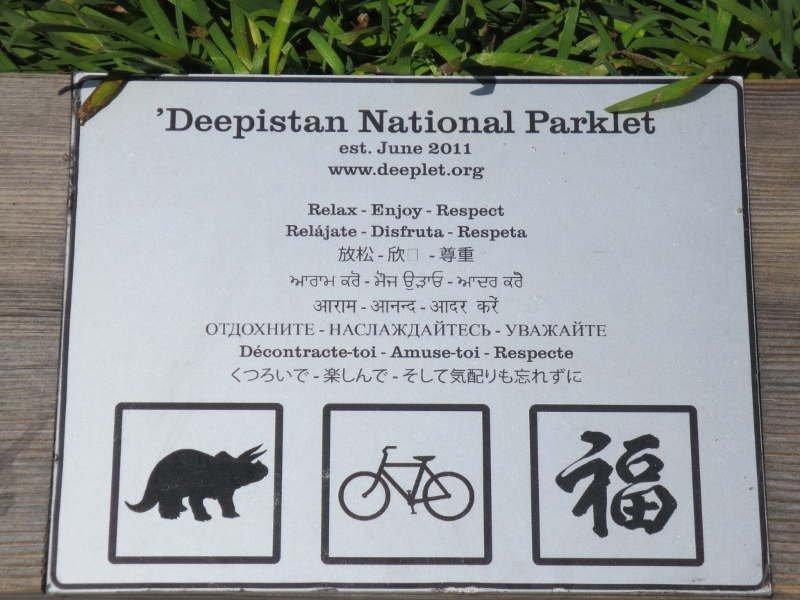 By building small instant parks in parking spaces individuals or small groups could create the change they wanted quickly with no interaction with city bureaucracy at all. Once the city saw that these parks added value to otherwise neglected streets at no cost to the city the activity was made legitimate. If you would like your hometown to consider adopting a similar program you can use this template when you approach your local officials here. Reading this document you’ll be amazed at how the city has both accommodated the parklet movement and still managed to turn the legal version into a multi-month sixty-two step ordeal. But hey… it’s progress. 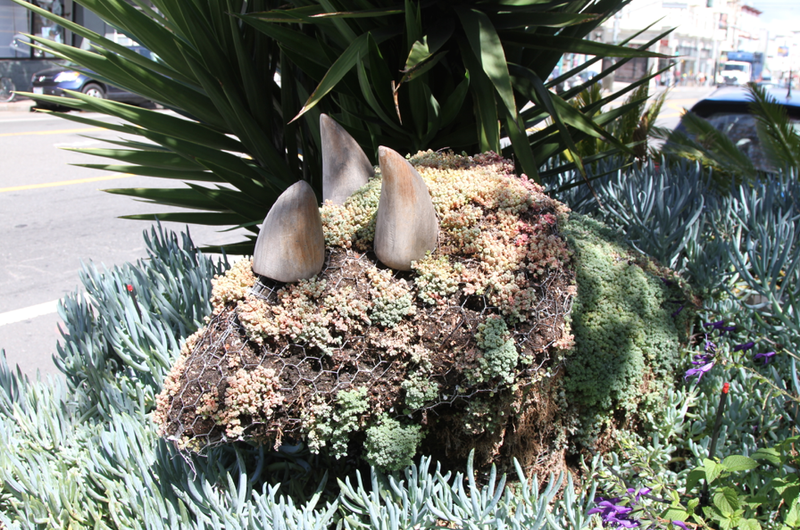 For those of you out there thinking this is just another esoteric “San Francisco” thing that has no relevance to real people in real towns as in, “This guy with the triceratops topiary must have too much time and money on his hands…” let me say this. This exact neighborhood was a blighted slum not that many years ago. The shops were mostly empty, the rents were low and homes were in poor condition and difficult to sell. The tech economy that has transformed the Bay Area and is generally associated with San Francisco is actually a suburban phenomenon. Apple, Google, Oracle, PayPal, Yahoo, etc. are all thirty or forty miles from here and in no way convenient to commute to in rush hour traffic or on public transit. San Francisco was able to attract a small portion of those well paid tech workers when many of them decided that living on a cul-de-sac and eating bad Chinese food in a strip mall wasn’t for them. 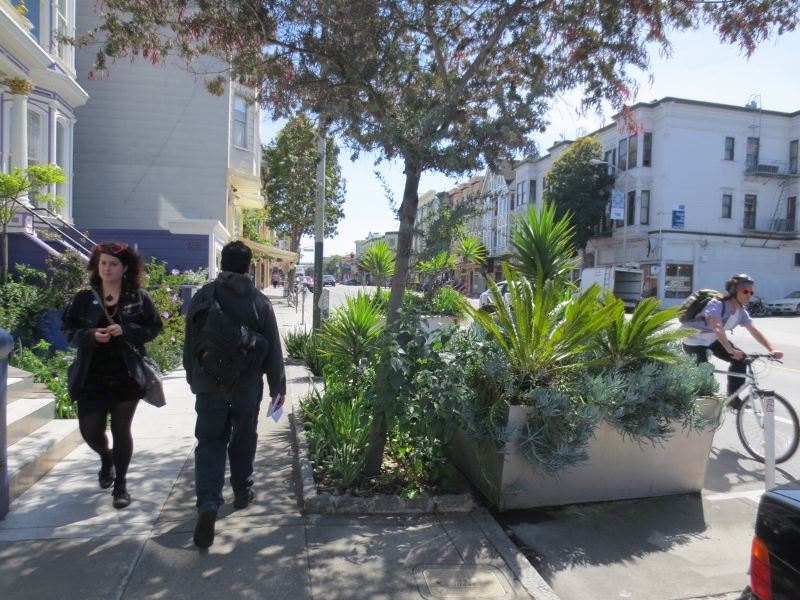 It’s small quirky things like the parklets that pulled in people with money and helped revive the neighborhood. San Francisco offers a unique environment that wasn’t available in other places. If you live in a prosperous suburb then you don’t need this sort of thing. But for those of you in places that are sliding downhill fast without a competitive advantage parklets are just one more fast, cheap, simple, fun technique you could try. What do you have to lose? It’s hard to imagine anything with a higher ROI. 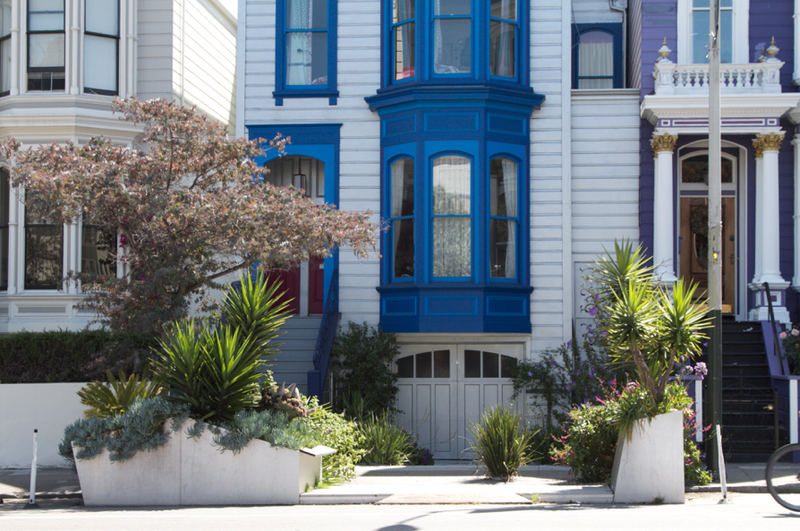 Plant a few shrubs and make your house the most valuable on the block. American urban planning has been so bizarrely misguided in recent decades that backtracking has become the pot of gold at the end of the rainbow. 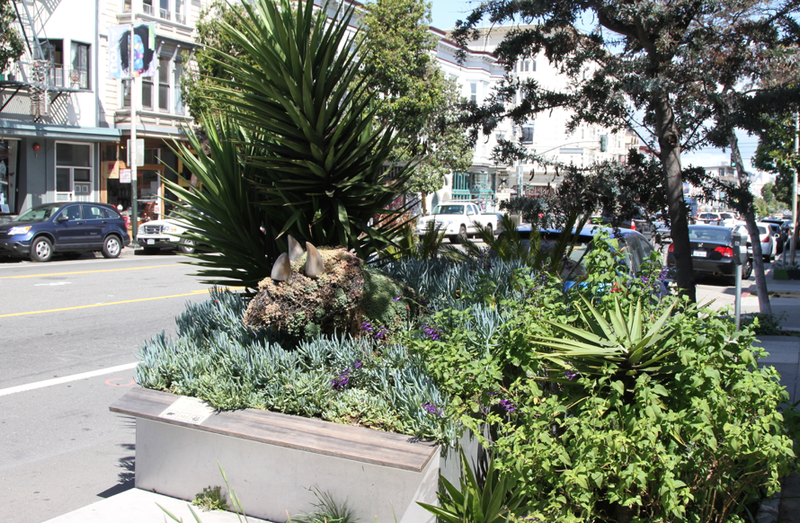 I love San Francisco parklets, and this one especially.